Workshops for business/organizations for a lunch break or team building or whatever suits your needs. 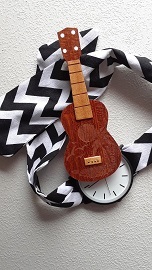 ~ Customized Ukulele Events for parties, festivals and more. tap into their soul through the magical powers of this delightful little instrument that makes everyone smile! Imagine a roomful of folks strumming on a ukulele and singing their hearts out…it’s positively energizing! The possibilities are endless & No Experience is Necessary! Ukuleles will be supplied (loaned) – Hand Shakers will also be available. Will help to break-down barriers and deepen relationships through the joy of this enchanting instrument. Can increase communication skills because music is the universal language. It’s a real ice breaker! Can bring out the best in everyone while learning to “play” together. Will create a joyful and memorable event that can take place wherever you so desire. Can customize a workshop/event especially for your needs. Located in the Berkshires of Western MA but might Travel!